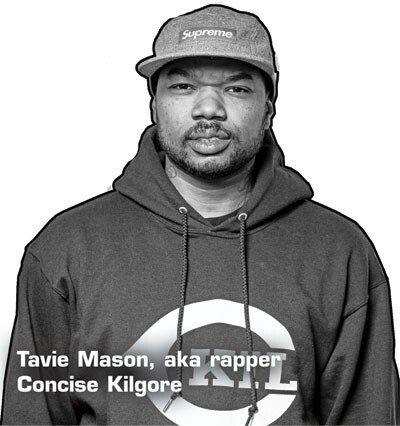 For the most part, Tavie Mason lives a normal, down-to-earth life. He’s a father of two and works the night shift at a pharmaceutical distribution company in Salt Lake City. But on occasion, the 35-year-old packs his bags, tours Europe and makes albums with some of the biggest names in rap music. Outside of Utah, Mason is known as the rapid-fire, smooth-voiced emcee Concise Kilgore. For seasoned hip-hop fans, he’s a familiar name, but his place of residency is something that most wouldn’t know. Over the past 10 years, Mason and a handful of other Utah artists have quietly built momentum within the worldwide hip-hop industry while barely making a peep here in the Beehive State. Contrary to what outsiders might think, Salt Lake City is home to a decent hip-hop fanbase. Music venues like The Urban Lounge, The Depot and The Complex host national touring shows almost weekly. Hip-hop radio station U92 and KRCL’s rap-centric Friday Night Fallout prove that the state where the movie Footloose was filmed can support a genre not typically associated with middle America. Salt Lakers apparently love rappers—just not any from here. The lack of a following for local rappers is at odds with Utah’s history of accepting counterculture music scenes. The massive punk scene in the ’80s paved the way for the explosion of Utah County ska music in the ’90s. Over the past decade, indie bands from Utah—The Used, Fictionist and the Neon Trees—have been embraced both locally and nationally. Utah overtly embraces good, independent music but refuses to tend its own rap garden. Historically, rap has its roots in the inner city, reflecting the hard times you’d expect to find there. Since Utah has almost zero street cred, some local rappers practically apologize for being from Utah and keep their hometown under wraps for fear they won’t be taken seriously. 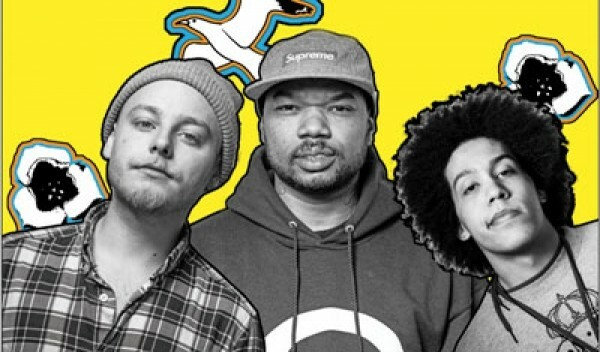 Many would argue that, over the years, the local hip-hop scene has died and all but disappeared. But they’d be wrong. Mason, who grew up in San Diego and moved to Utah in 1996, will be the first to tell you he never planned on being an emcee. Like most high school kids obsessed with ’90s hip-hop, Mason would freestyle with his friends on the bus or in between classes, but he never took it seriously—not until a chance trip to Cincinnati in August 1998 to visit the annual hip-hop festival Scribble Jam. Scribble Jam no longer exists, but at the time, it was the nation’s biggest hip-hop gathering, comparable to huge modern-day festivals like Rock the Bells or Paid Dues. It focused on various competitions that highlighted the important aspects of rap music like DJing, graffiti, break-dancing and, the most popular event, the emcee battle. Mason had never rapped professionally, let alone on a stage. But he decided to enter the emcee competition anyway, squaring up against 50 of the nation’s best freestyle rappers. To the surprise of many, he made it to the final round. But when he had to draw his next competitor from a hat, he drew Slug, a young, cocky and heavily favored emcee from Minneapolis. Though Mason lost horribly, that experience gave him a leg up in the rap industry. A few months later, Mason’s good friend, local DJ and producer Gabe Martinez, more commonly known as DJ Briskoner or Brisk, was in San Diego for a taping of Mos Def’s television spot, The Lyricist’s Lounge Show. While Brisk was there, he met female Philadelphia-based rapper Bahamadia. Back in the ’90s, long before social media, networking in the rap industry was all about meeting other emcees face to face. The better your reputation, the better your chances were for meeting and working with next-level artists. Local hip-hop shops and venues were more than just places to experience underground music—they were the only place to network. 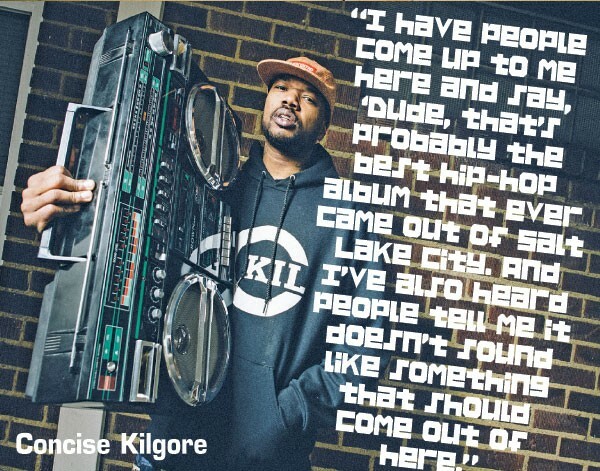 Because of Brisk’s smooth networking in San Diego, he was able convince Bahamadia to come out to Salt Lake City and work on a 12-inch single with the relatively unknown rapper Concise Kilgore. Under the moniker Status Quo, the duo released the single “Plead the Fifth.” The track was a success in Europe and Japan, so Bahamadia invited Mason to Germany for a quick three-city tour. From there, it was as if the rap industry chose Mason more than the other way around. Once he returned from touring with Bahamadia, he went to work at Brisk’s Salt Lake City hip-hop shop, Funksion. While working behind the counter, he got to know legendary San Francisco emcee and Cali Agents rapper Rasco. Rasco agreed, but the label that was putting out the single folded before it was even released. However, a couple of months later, Rasco called Mason and asked if he would be interested in being his hype man on a 40-city tour alongside The Masterminds, EdoG and Aceyalone. A hype man is what Flava Flav was to Public Enemy. Your job is to jump around and essentially “hype up” the crowd before and in between songs. More importantly, a good hype man fills in when the rapper messes up or runs out of breath.